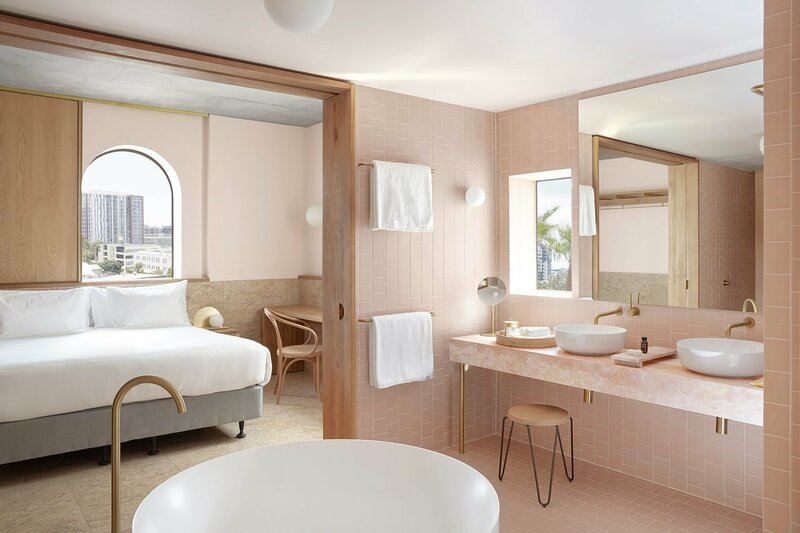 "Great hotels have stories that go beyond providing a bed for the night—they offer moments of discovery, unexpected adventures, encounters to be savored and retold," says The Calile Hotel, and we wholeheartedly agree. Careful consideration has been put into every detail of this pastel-hued oasis in the middle of Brisbane. Allow your mind to wander as you relax by the pool, lounge at the hotel bar, or simply enjoy the impeccably-designed interior spaces.